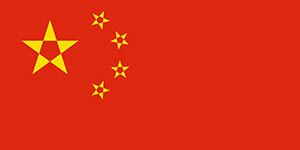 China is a most populous country in the word with the population of approx 1.50 Billion. China is one of the most advance countries and develops country in terms of technology manufacturing. The whole word is not depended on the Chinese manufacturers for the low cost and best quality products. China has world best cities like Beijing, Shanghai, Hong Kong and the world most advance infrastructure for Education. The Kyrgyz Republic stretches about 900 km from east to west and 410 km from north to south, and is situated between 39°N and 43°N levels latitude. The whole area is nearly 200 thousand sq. kilometers. China has one of the best infrastructures and has the best Government medical universities. Study MBBS in China for Indian Student is since more than 25 years old. The Eligibility to get MBBS admission in China for Indian students varies from the university to university as per their grades. 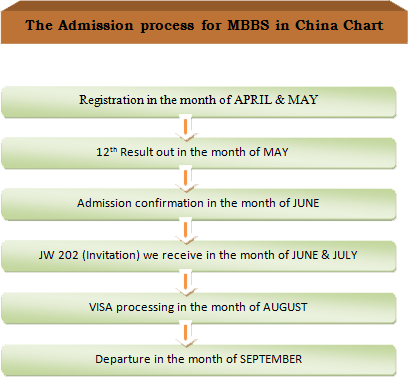 The basic eligibility to get MBBS admission in China is the one has to be 10 + 2 with minimum 50 % in PCB for Open class category. And for SC/ST/OBC one he should have 40% in PCB in 10+ 2 (12th STD). MBBS Universities in China are divided in various grades as per their standard and approval from Ministry of china & WHO. A+ / A / B+ / B / C+ / C are grades of Chinese MBBS universities. Indian Students can Opt for MBBS in China in English Medium Universities as per their grades. It is advisable to Indian students to Study MBBS in China as per their grades not as per their world ranking. A+ to B grades universities has the best MCI / FMGE screening test passing ratio as they are full English medium teaching MBBS Universities in China. There are many top Government MBBS research universities in China in this grades attract the students not only from India but all across the world especially from Europe. 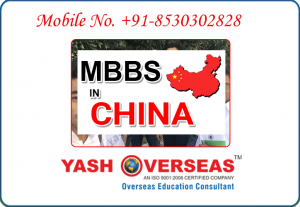 Yash Overseas is the official Representative of Many top MBBS universities in China and placed more than 100’s students in various best Chinese universities for MBBS. Yash Overseas is the Official Representative of the most top MBBS universities in China. Help to choose the best MBBS university in China as per the Budget. Guaranteed admission in the desired China University for MBBS. Proper guidance in Visa paper , Making the perfect VISA file by our expert VISA Expert Staff. Perfect Travel arrangement with the group till desired university. Receiving on the destination airport, registration in the university, hostel allotment, and all other daily requirement of the students are the priority of Yash Overseas. MCI /FMGE/USMLE Material And Coaching provided. Yash overseas will be taking care of the students for entire 5 years. China has the Largest Population in the world with over 1.5 Billion with the greatest advantage of highest patient flow in those government Hospitals associated or integrated with these MBBS universities in China. Practical training and internship is the main part of Medical Studies and china Medical Universities has the best facilities. Most of Universities in china for MBBS having more than 2000 beds hospitals, this big flow of patients give the medical student the best practical knowledge. The fee in Medical Universities in china for MBBS is relatively very low, starting from 1, 50,000 / yr to 3, 00,000 per year depending on the university. Also the hostel fee is quite reasonable as it is management by government, Approx 30,000/ year to 50,000/ year. Food cost varies from candidate to candidate abut it should be around 7000/ month. Even if you choose the top ten MBBS universities in China whose total cost will be much lower as compares to MBBS admission universities in India. China has the variety of Medical Universities offer from cheap medical Universities in china to high cost MBBS in China. Top MBBS Universities in China we represent.